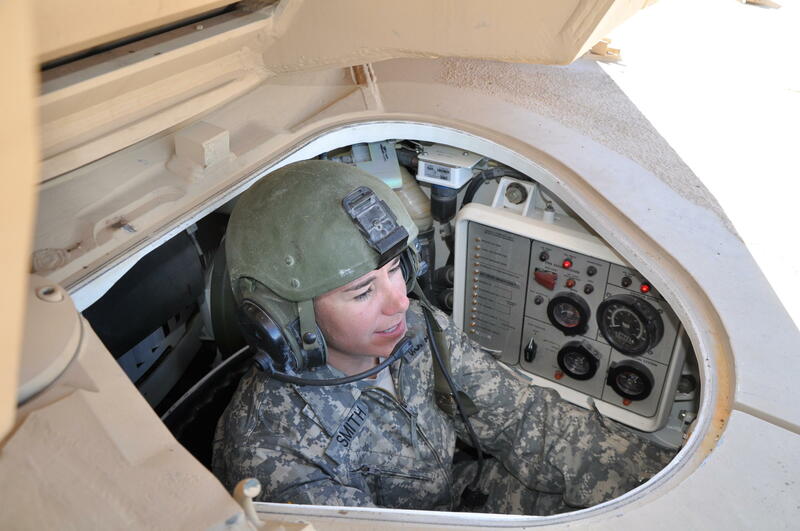 Sergeant First Class Erin Smith maneuvers an Abrams M1A2 tank south of Boise. Smith enrolled in the Army's “19 Kilo” school to learn how to operate the M1A1 and M1A2 Abrams tank. The Guard says she learned to load and fire the tank’s weapons, use hi-tech communications equipment, and operate the targeting acquisition system. Smith says she was accepted and treated no differently than her male counterparts during training. The Idaho Army National Guard has a force of nearly 3,000. About 400 are women.